So true, so brilliant, so inspirational yet…so contradicting? 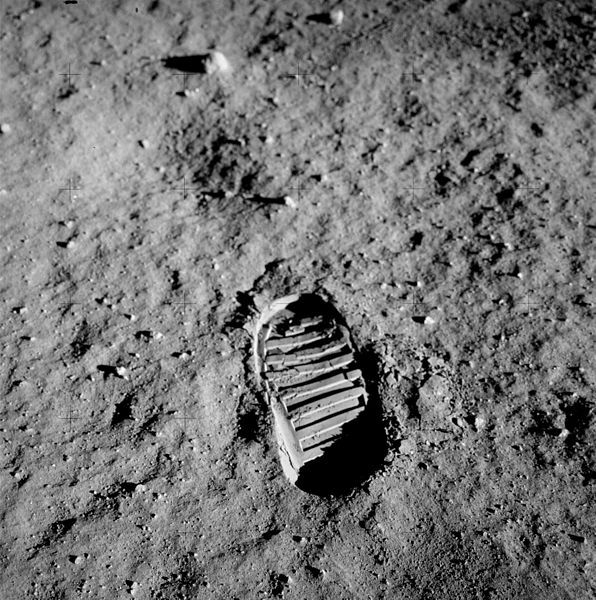 The word “man” and “mankind” are used synonymously, meaning that the oh-so-famous quote quite simply put was, “That’s one small step for man, one giant leap for man.” Huh? A one-lettered indefinite article is all it would take to turn this quote into the inspirational words our brains all process when we hear them. That article is “a”- “One small step for “a” man, one giant leap for mankind.” That is how most people interpret his words and, according to Neil Armstrong, those are the words he intended to speak. 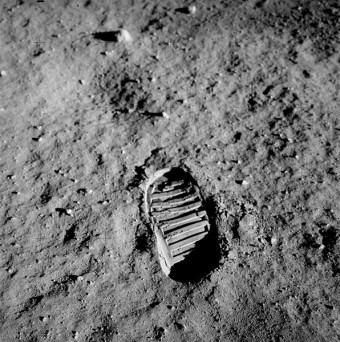 NASA’s official transcript of the quote still shows the “a” in parentheses, “That’s one small step for [a] man, one giant leap for mankind.” This is because the “a” is not audible in the broadcast. For years, both NASA and Armstrong insisted that static had obscured the “a”. Armstrong himself stated that he would never make such a mistake (omitting such an important part) but after listening to recordings of his quote, finally conceded that it’s possible that he may not have said the “a”. When he admitted this, he stated, “I would hope that history would grant me leeway for dropping the syllable and understand that it was certainly intended, even if it was not said—although it might actually have been”. But that’s not the end of the story. Support for Armstrong has been found in a team of researchers from Michigan State University and Ohio State University who have concluded that Armstrong did indeed speak the words he claims to have spoken but static or technological limitations are not to blame for its apparent omission. According to them, Armstrong’s Ohion accent is to blame y’all. According to a Michigan State University specialist in communicative sciences, assistant professor Laura Diller, because of the dialect of his hometown, if Neil Armstrong did voice the word “a”, it was short and fully acoustically blended with the preceding word “for”. Dilley and her colleagues, who include MSU linguist Melissa Baese-Berk and OSU psychologist Mark Pitt, thought they might be able to figure out what Armstrong said with a statistical analysis of the duration of the ‘r’ sound as spoken by native central Ohioans saying ‘for’ and ‘for a’ in natural conversation. They used a collection of recordings of conversational speech from 40 people raised in Columbus, Ohio, near Armstrong’s native town of Wapakoneta. Within this body of recordings, they found 191 cases of ‘for a’. They matched each of these to an instance of ‘for’ as said by the same speaker and compared the relative duration. They also examined the duration of Armstrong’s ‘for (a’) from the lunar transmission. The researchers found a large overlap between the relative duration of the ‘r’ sound in ‘for’ and ‘for a’ using the Ohio speech data. The duration of the ‘frrr(uh)’ in Armstrong’s recording was 0.127 seconds, which falls into the middle of this overlap, though it is a slightly better match for an ‘a’-less ‘for’. In other words, the researchers conclude, the lunar landing quote is highly compatible with either possible interpretation, though it is probably slightly more likely to be perceived as ‘for’ regardless of what Armstrong actually said. Dilley says there may have been a ‘perfect storm of conditions’ for the word ‘a’ to have been spoken but not heard. While he was studying for his aeronautical engineering, the Korean War broke out, in which he flew 78 combat missions. He was just 20 years old when he was made a naval aviator. His plane was shot by anti-aircraft fire once, while in a low-height armed reconnaissance flight, but he managed to escape, leaving the wreckage behind. In recognition of his bravery and skill, he won Air Medals for 20 air missions. He went on his first space mission on March 16, 1966 as the command pilot of Gemini VIII. He docked the Gemini VIII successfully with an unmanned Agena target craft. Although the docking was smooth enough, while the spacecrafts were together, they started to roll. Armstrong then managed to undock the Gemini, and regained control of the spacecraft by using the retro rockets. However, this resulted in the astronauts having to make an emergency landing into the Pacific Ocean. I kind of like it that, in the intense excitement of the moment, the person making history made a pretty much insignificant mistake. I feel it gives all of us permission to be imperfect. for our school we do this thing were we are pretending like we are in a wax musem and for my wax im neil armstrong!!!!!!!!!!!!! !